Walt Disney World is known as the most magical place on earth, but this is especially true during the holidays. Spending your holiday vacation and PTO on a Disney Christmas is something that we don’t think you will ever regret. Keep reading for everything you can expect when you book a trip to Disney World this holiday season. Every park and resort at Walt Disney World is completely decked out in holiday lights and glitter from November through mid-January. Even the rides join in on the fun of Disney Christmas, transforming into holiday-themed experiences. Take Disney World’s Jungle Cruise for example. During the holidays, it turns in the Jingle Cruise. Known as a “holiday overlay”, the story is that the skippers from the Jungle Cruise become homesick during the holiday season, so they added their own Christmas decor to the boathouse and the cruise. Disney also announced the Hollywood Studios will add a holiday overlay to Toy Story Land this year. In addition, Cinderella’s Castle in Magic Kingdom is absolutely breathtaking during the holidays, done up in icicles and holiday lights that cannot be missed. 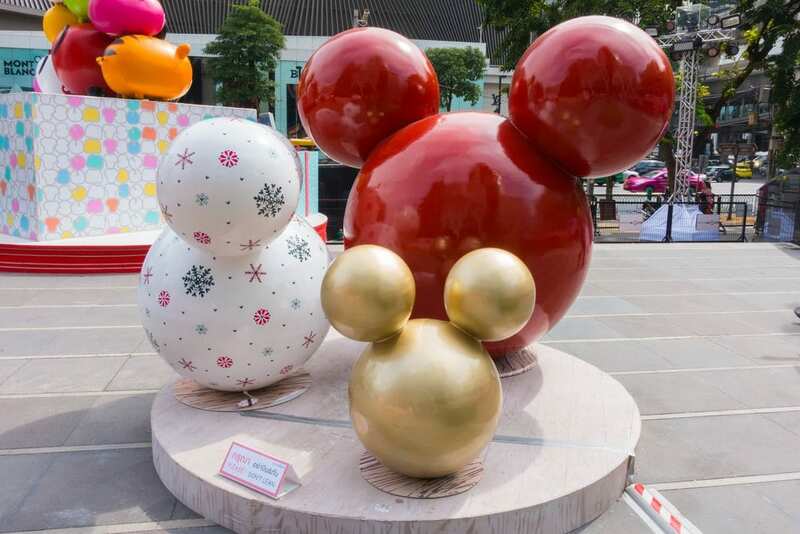 The resorts take part in Disney Christmas fun as well. If you’re going during the holidays, we suggest you stay at the Grand Floridian. This is home to the Gingerbread House. The life-size structure isn’t just for looks! It also functions as a holiday gift shop. And yes, it is truly all edible! One thing that Walt Disney World is not lacking in is Christmas trees! Throughout the parks you’ll find giant trees with ornate details and themes. 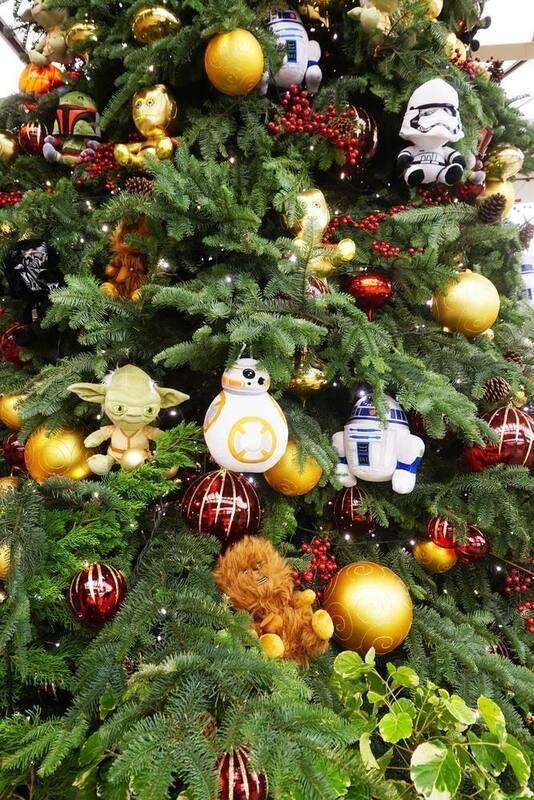 Check out Disney Springs Christmas Tree Trail, which boasts 25 Disney-themed trees. The biggest holiday event of the season is Mickey’s Very Merry Christmas Party. You can join the celebration on select evenings at Magic Kingdom in November and December. You do have to pay extra for the event, but we think it is well worth it. Kids and adults alike will love the holiday dance and song entertainment, “snow” falling on Main Street, and delicious holiday treats (more on those later!). In addition, your ticket grants you shorter lines to Magic Kingdom’s many attractions. 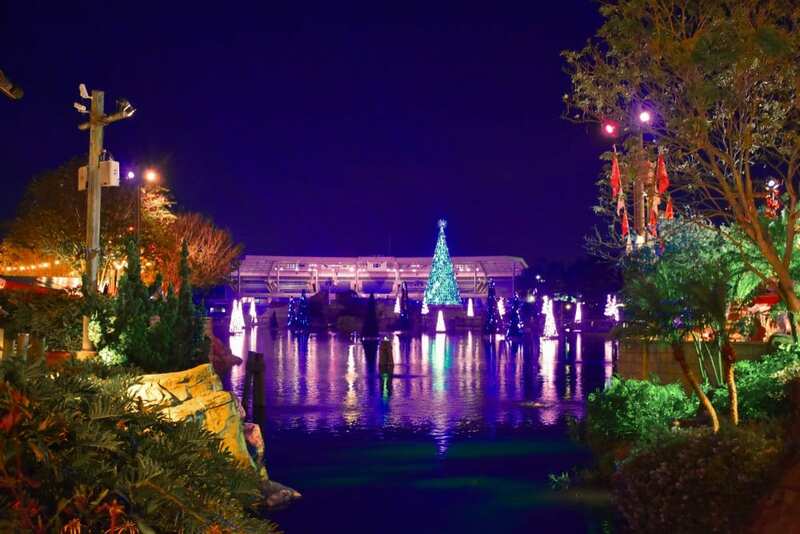 Besides Magic Kingdom, Epcot has some of the best Christmas events of the season. One such event is the International Festival of the Holidays. From mid-November to the end of December, you can sample traditional holiday food and drinks from Epcot’s 11 World Showcase nations. Epcot is also home to the Candlelight Processional. This free event takes the audience through the story of Christmas. The story comes to life with a 50-piece orchestra and a huge choir. In addition, they host many celebrity narrators. For the 2018 holiday season, guest narrators include Neil Patrick Harris, Whoopi Goldberg, and more. As if that weren’t enough, many of the other parks join in the holiday fun with Christmas-themed nighttime shows. Disney’s Animal Kingdom will feature Diwali, the Festival of Lights in India, in their new live show UP! A Great Bird Adventure. Disney’s Hollywood Studios presents Jingle Bell, Jingle BAM!, a spectacular display of music, fireworks, and special effects. Besides the awe-inspiring holiday decor and star-studded events, you’ll find the sweetest Christmas magic in the details. One thing the kids in your family will surely never forget is celebrating the season with their favorite Disney characters all dolled up in their holiday best. You can even meet Santa in Hollywood Studios while you’re there! For more one-on-one time with your favorite characters, book a holiday character dining experience. You can also do all of your Christmas shopping at Disney this year. Special, often limited-edition holiday Disney merchandise can be found in all of the parks and resorts. Perhaps one of the best reasons to visit Walt Disney World during the holiday season is to sample the special treats. The parks and resorts are brimming with holiday-themed cookies, caramel apples, and other tasty delicacies. Call us today at 402-281-3022 to book your Disney Christmas with one of our Disney specialists or get started here.